Ordering Information on the Bottom of this Page! Antebellum New Orleans was home to thousands of urbane, educated and well to do free blacks. The French call them les gens de colour libre, the free people of color. After the Civil War they were known as Creoles of color, shortened today to simply Creoles. Theirs was an ambitious status, sharing the French language, Catholic religion and European education with the elite whites, who were often blood relatives, but keeping African an indigenous American influences from their early heritage. This is their story, rarely mentioned in conventional histories, and often misunderstood today, even by some of their descendants. 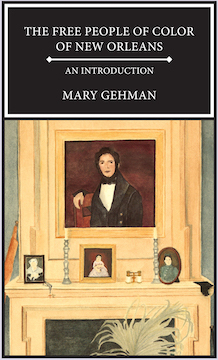 Mary Gehman first published this book in 1994. 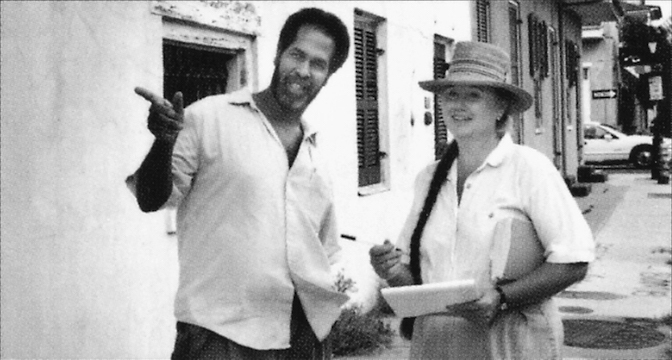 Assisting her was professional photographer Lloyd Dennis, who in working on the book learned new and positive things about his own background. He resides in his native New Orleans. Gehman, a Pennsylvania native, had lived in New Orleans from 1970 as a college English professor, but after heavy losses in Hurricane Katrina, she moved in 2006 upriver to Donaldsonville, Louisiana. Having authored two other books, Women and New Orleans (1988) and Touring Louisiana’s Great River Road (2003), she now is a full-time publisher of local writers Louisiana topics. All rights reserved. No part of this book may be reproduced or copied in any form without written permission from the publisher. Note: this is the 2017 edition. Any additions prior to this are not sold by Mary Gehman.